Heads Up - Week 23 "Blue"
Have you ever worked hard to take the shot you visualized and then ended up using a more random shot in the end? I took the kids to the rail trail so I could get a nice shot of our youngest on his new blue balance bike. The "blue" part was specifically important to him, and he was so excited about it, so I decided I was going to use it for this week's theme. The shot was all planned out... wide-angle, low, perspective, facing up to the sky, exposed to the skylight, and filled in with a Speedlite... I knew what I wanted. And I got it. But you know what? 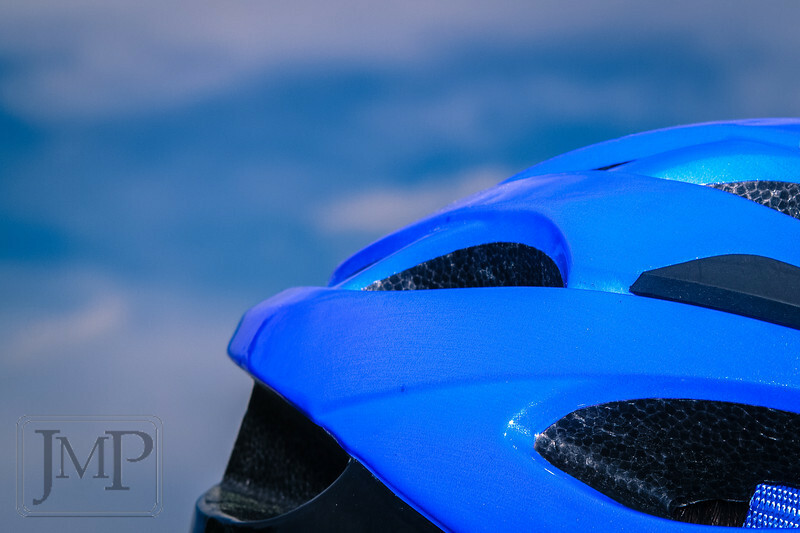 I like this random picture of our oldest's blue helmet better for this week's theme entry. Same day, same set-up, different subject, and it's all good.